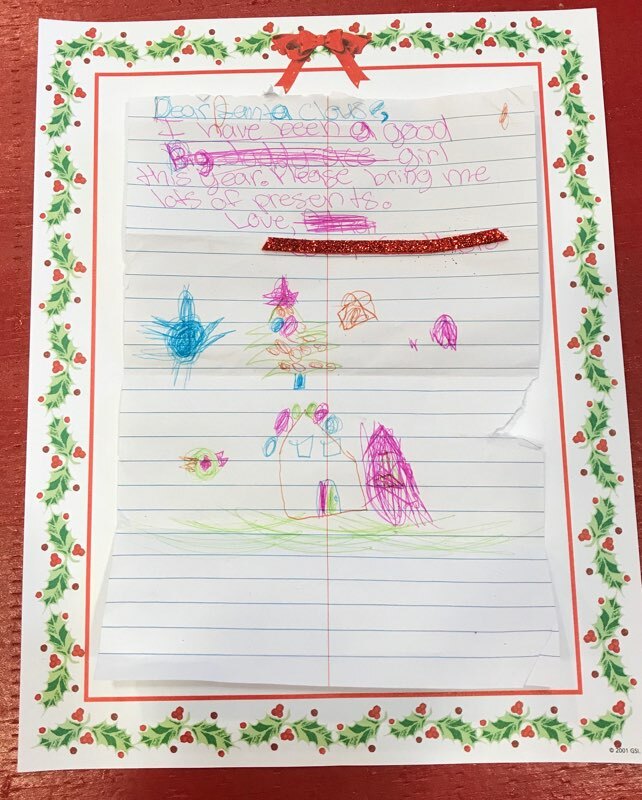 Readers, and Santa of course, you’re in for quite a treat once you see the letters we’ve received in Santa’s Cottage. 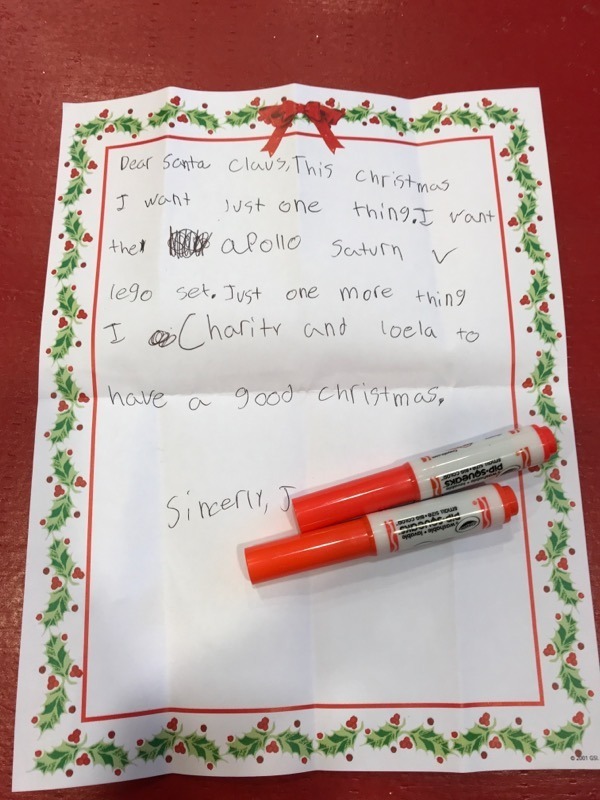 Kids from all over Virginia Beach wrote their Christmas list and checked it twice! 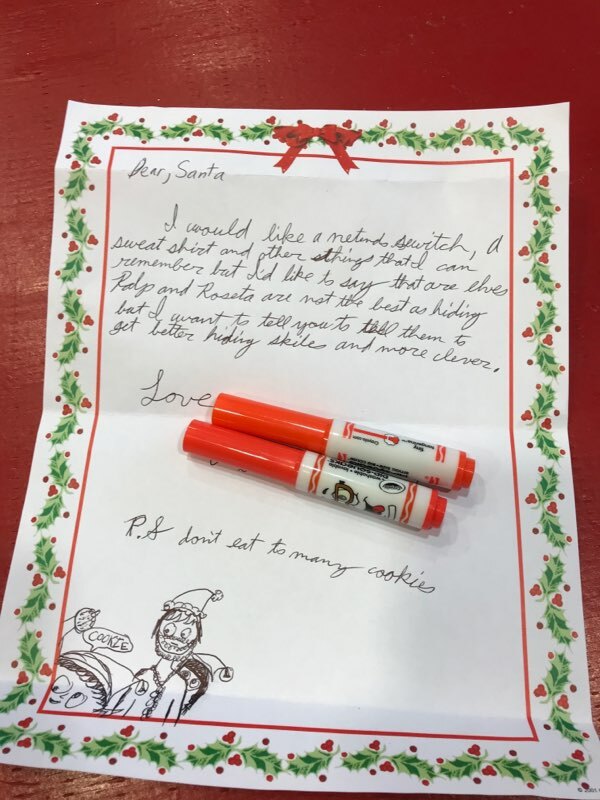 Keep scrolling to see a few of our favorites before they’re sent off to the North Pole! 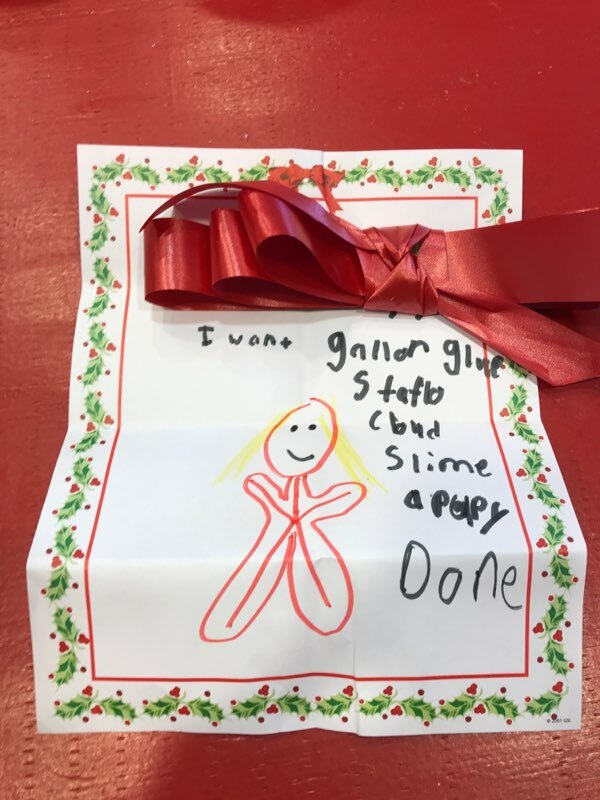 Slime… a puppy… DONE! Succinct and to the point. P.S. 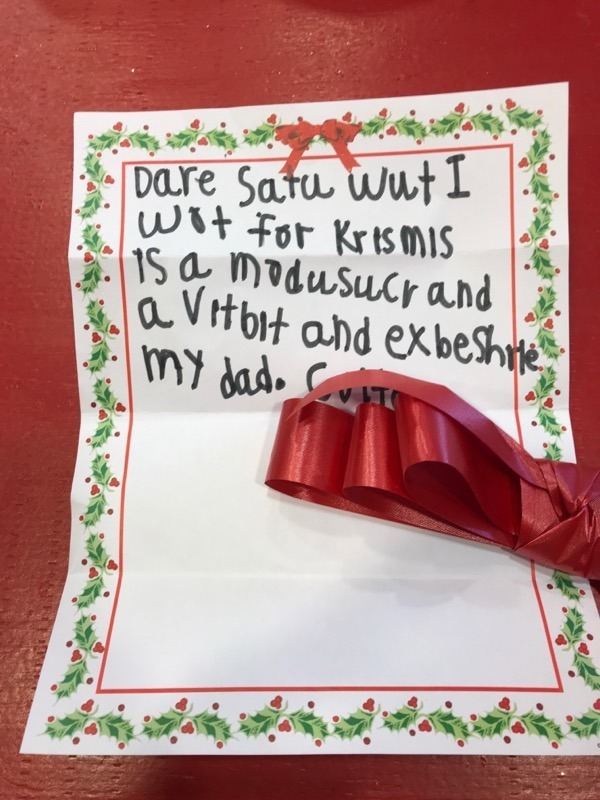 Don’t eat too many cookies Santa! 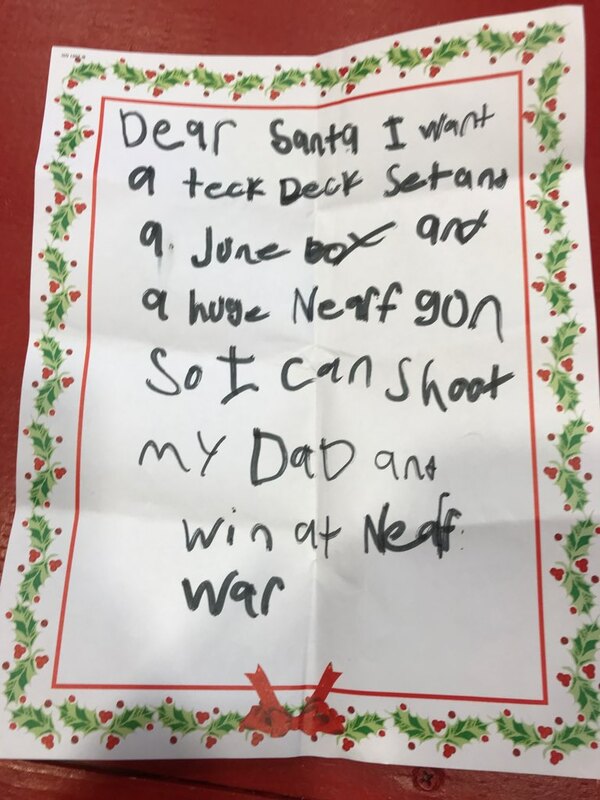 Bring her LOTS of presents, please!